Sam Bennett has taken his first victory of the season by winning the final stage of the Vuelta a San Juan. The Irishman capped off great work from his BORA-hansgrohe to win the bunch sprint in San Juan City. 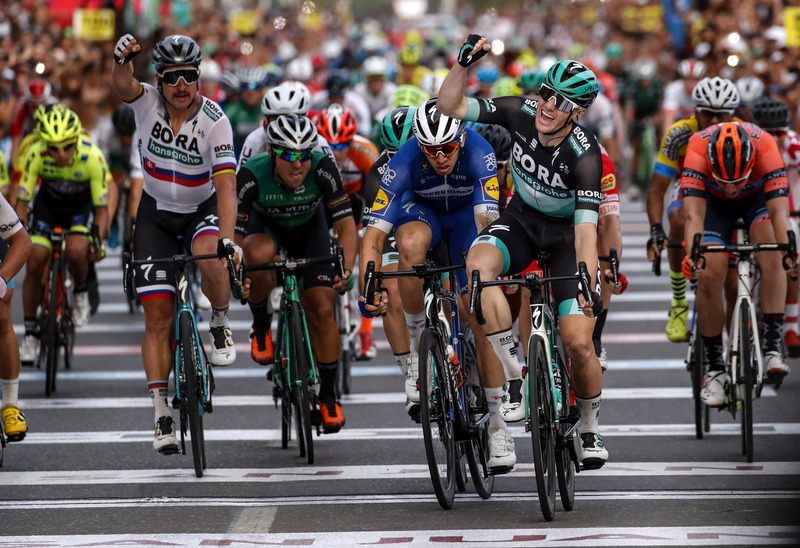 After a hectic final stage where the breakaway was barely allowed a minute’s advantage, it all came down to the final 10 kilometres on the San Juan City circuit, where the pace ramped up high and the BORA-hansgrohe sprint train came to life to protect Sam Bennett and bring him to the line. 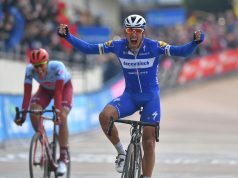 With Erik Baška and Peter Sagan on lead-out duty, the Irish rider surged ahead to take the Vuelta a San Juan’s final stage with a commanding effort that saw him finish a bike length ahead of second placed rider Álvaro José Hodeg (Deceuninck – Quick Step). The Vuelta a San Juan concluded in San Juan City with a circular nine-lap street circuit, totalling 141.3km. With a pan flat finish, the sprinters were guaranteed not to let this go one by without a fight. With the breakaway having frustrated the bunch on yesterday’s stage, the early attempts to escape were quickly shut down and several more attacks ended the same way. With the race hitting the 100km to go point, there was still no break in sight, and it was only with 75km to go that something finally stuck. 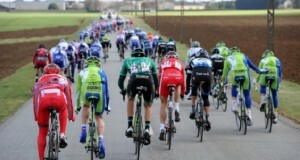 A group of five built a lead of a minute, but almost as though they were on a piece of elastic, the peloton brought them back in to within thirty seconds. This group was working together well though, and the bunch was held at bay until the final 20km, when the bunch jumped into action and started pushing to make the catch, easily sweeping up the lead group and then ramping up the pace for the finale. While there were plenty of attacks in the final 5km, the BORA-hansgrohe riders were vigilant on the front with Poljański, Baška and Sagan keeping the pace high for Sam Bennett. 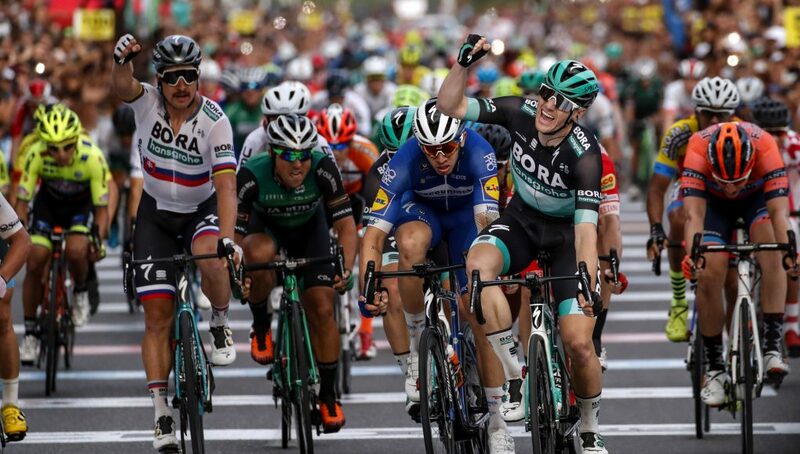 Coming out of nowhere when it looked like the race was over, Bennett streaked ahead and decisively snatched the victory ahead of Hodeg and BORA – hansgrohe team-mate Erik Baška. 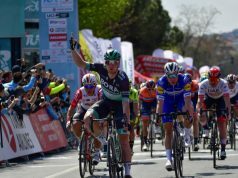 Sam Bennett – “I’m really happy. We came here looking for a stage win and it was good for the morale to start the season by taking a win in my first stage race. I just want to thank the team again – they did an awesome job. The hardest part was in the finale. The guys were doing a perfect lead-out and I think Quick Step’s focus was on me, and they tried to hold me out in the wind really early so, in the end, I decided to hang back a bit and try and come a bit later in the sprint.